The first adage indicates that the quality of a good or service improves when the person performing it enjoys autonomy and has a financial stake in the outcome. The second saying suggests that if the Cuban government is unable to “tend its own stores,” then it should let others take them over. In essence, this popular wisdom demands that the state turn over to the private sector the economic activities it cannot operate effectively itself—many of which are already widely practiced in Cuba’s ubiquitous underground economy. In other words, the U.S. embargo – recently dealt a near fatal blow by the joint decision by Presidents Barack Obama and Raúl Castro to reestablish diplomatic relations after almost 54 years – is hardly the principal “blockade” standing in the way of Cuba’s economic revitalization. Though the American “bloqueo” has long been the target of withering and well-deserved international condemnation, on the island Cubans themselves are much more likely to criticize what they bitterly refer to as the “auto-bloqueo” (internal embargo) imposed by the Cuban government itself on the entrepreneurial ingenuity, access to uncensored information and open communications, as well as basic civil and political rights of the Cuban people. President Barack Obama has opened a door to potential U.S. investment in (and import/export to and from) Cuba’s entrepreneurial and telecom sectors. 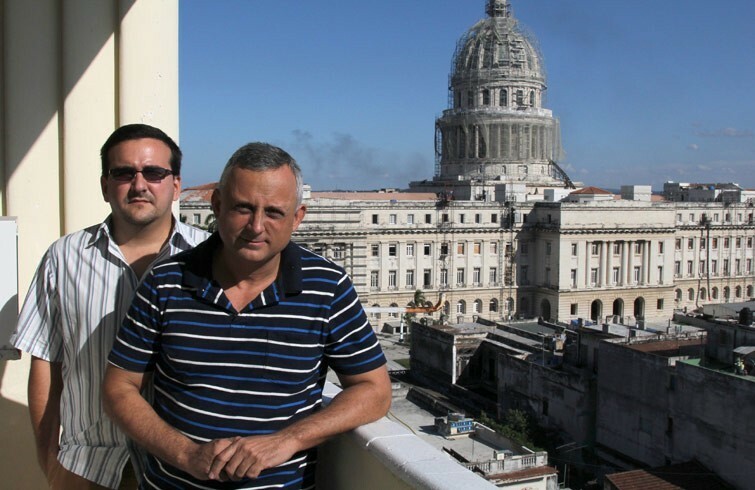 But is Raúl Castro willing to allow U.S. companies to operate on the island? More important still, is his government ready to open up to the Cuban people by beginning to relinquish its tight control over private enterprise and the Internet? While we believe that it is both good and necessary for the United States to open up to Cuba and vice versa (to paraphrase the late Pope John Paul II), our book argues that little economic progress or political freedom will be enjoyed by Cubans themselves until the Cuban government opens up to its own people, ceases to demand their acquiescence as subjects, and begins to respect them as citizens, consumers, and entrepreneurs with defensible and inalienable economic and political rights of their own. In fact, two weeks following the historic mid-December Obama-Castro announcement, the Cuban government received its first public test of whether its internal embargo would now be relaxed in light of the sea-change in U.S. policy. On December 30, the internationally renown Cuban artist Tania Bruguera organized a public act of performance art in Havana’s iconic Revolutionary Plaza. Dubbed “#YoTambienExijo,” Bruguera invited Cuban citizens to “share their own demands” on the government and visions for the island’s future for one minute each at an open-mic set up in the Plaza. Predictably, the government responded by arresting and detaining scores of artists, activists, and independent journalists, which amounted to an even more public “performance” of its own typically repressive tactics, as news of the event echoed in the international media on the final day of the year. Thus, while we can celebrate the fact that the U.S. and Cuban governments have finally agreed to begin respectful, diplomatic engagement, the Cuban government’s failure to respectfully engage with the diverse and often dissenting voices of its own citizens makes us wonder with Bruguera whether “it’s the Cuban people who will benefit from this new historic moment,” as she put it in her previously circulated open letter to Raúl Castro. Between 1996 and 2006, President Fidel Castro pursued an economic policy retrenchment that gradually phased out the pro-market reforms of the early 1990s, indicating that he was more aware of the political risks that popular entrepreneurship would pose to his centralized political control than of the economic benefits it could provide. Therefore, he was unwilling to transfer more than a token portion of the state “store” to private entrepreneurs. His brother, Raúl Castro, whose presidency began in 2006, has significantly eased this resistance. While the underlying goal of economic reform is still to “preserve and perfect socialism,” he has started to deliberatively shrink the state “store” and transfer the production of many goods and services to the more than half-a-million new small enterprises, including both private and cooperative ventures. However, much more remains to be done in reforming policies toward microenterprise so that it can contribute fully to productive employment, innovation, and economic growth. For example, 70 percent of the newly self-employed were previously unemployed, meaning that they likely converted previously existing underground enterprises into legal ones, doing little to absorb the 1.8 million workers slated for state-sector layoffs. Moreover, only 7 percent of self-employed are university graduates, and most of them work in “low tech” activities because almost all professional self-employment is prohibited. This acts a “blockade” on the effective use of Cuba’s well-educated labor force, obstructing innovation and productivity. A further goal of the tentative reforms to date has been to facilitate the emergence of cooperative and small enterprise sectors so that they can generate sustained improvements in material standards of living. This can only be achieved with additional reforms that effectively “end the embargo” against Cuban entrepreneurs. 6. Relaxing the tax burden on small enterprise, which now discriminates against domestic enterprise in favor of foreign investors. Progress in all these areas would be greatly facilitated by access to U.S. investors and markets (both as a source of desperately needed wholesale inputs and as a place to sell their products), something now possible following the implementation of Obama’s historic policy changes during the coming year. However, it remains to be seen whether Raúl has the political will to intensify the internal reform process. The outright prohibition of activities the government prefers to keep under state monopoly allows it to exercise control over Cuban citizens and impose an apparent order over society. However, this comes at the cost of pushing all targeted economic activity (along with potential tax revenue) back into the black market – where much of it lurked prior to 2010. On the other hand, the inclusion and regulation of the many private activities dreamed up and market-tested by Cuba’s always inventive entrepreneurial sector would create more jobs, a higher quality and variety of goods and services at lower prices, while also increasing tax revenue. However, these benefits come at the political cost of allowing greater citizen autonomy, wealth and property in private hands, and open competition against state monopolies. The viability of Cuba’s reforms also depends on the recently announced changes in U.S. policy toward Cuba and on Cuba’s changing policy toward its émigrés, who already play a major role in the Cuban economy as suppliers of start-up capital via the billions of dollars they provide annually in remittances. Such investment could be expanded if the Cuban government were to deepen its recent migration reforms by granting greater economic rights to its extensive émigré community. Obama’s relaxation of U.S. policy will inevitably shift the political calculus that underlies economic reform on the island. As external obstacles to Cuba’s economic revitalization are removed, the onus will fall with increased pressure on the Cuban government to broaden and deepen its initial reforms, since it alone will be to blame for poor performance. For example, organizations like Catholic Church-affiliated CubaEmprende have already begun to offer entrepreneurship workshops to small business owners with the financial backing of Cuban-Americans. Now that they needn’t worry about the threat of U.S. sanctions, will this and other similar projects be provided the legal and institutional space to flourish by the Cuban government? 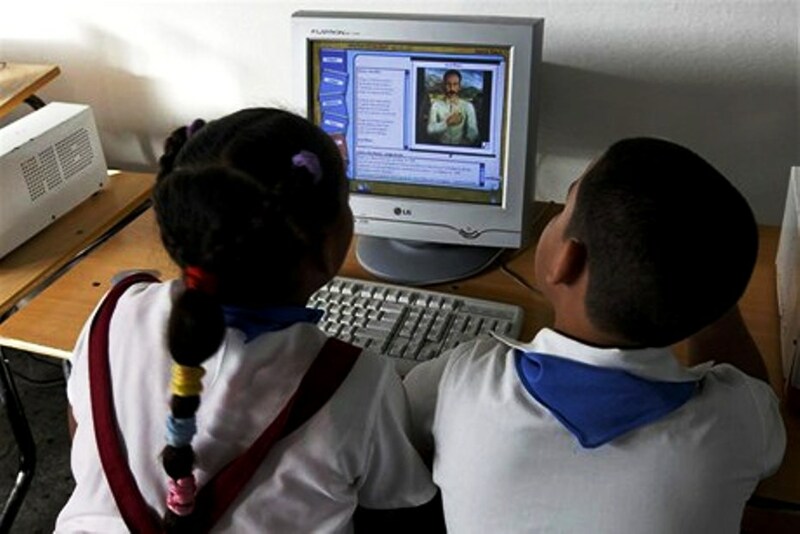 Despite a continued state monopoly on the mass media and one of the Western Hemisphere’s lowest Internet penetration rates, in recent years Cuba has seen a number of significant developments in information and communication technology (ICT) capabilities, access to uncensored news, and the availability of new dissemination channels for digital data. 5. The emergence of an underground digital data distribution system known as “el paquete” (the packet). Each of these developments could be accelerated by the new U.S. policy that allows American telecom providers to do business in Cuba, but only if the Cuban government is willing to allow diversification and freer competition in its centralized, monopolistic ICT system. This digital black market arises from the fact that many products—especially the latest electronic gadgets—are either priced far out of reach for most Cubans in “las tiendas estatales,” not sold at all, or even banned outright. 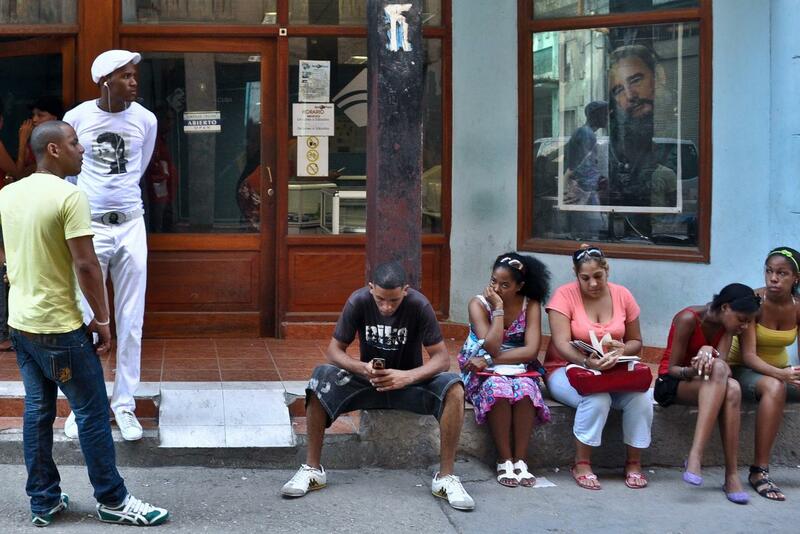 More recently, the small but rapidly growing number of Cubans who have joined the smart phone revolution (often purchasing their Androids or iPhones via the blocked site Revolico.com, a Cuban version of Craig’s List) have benefitted from the proliferation of “apps” especially configured for Cuba’s peculiar off-line environment. Undoubtedly, such a peculiar digital media environment will be fundamentally transformed if American data, service, and hardware providers were given access to the Cuban market. At the very least, prices are bound to fall, speed increase, and access expand, with the quality and quantity of digital ICT equipment improving. A key recent development was the June 2014 trip of top Google executives to the island, including company co-founder Eric Schmidt, with the purpose of “promoting a free and open Internet.” To that end, they met both with leading cyber-activist Yoani Sánchez and government officials, while also interacting with students at Cuba’s University of Computer Science. Upon returning to the U.S., Schmidt declared that Cuba was trapped in the Internet of the 1990s and heavily censored, with American-engineered hardware and software losing out to Chinese ICT infrastructure. The greatly expanded telecom opportunities for U.S. companies and the decision to review the designation of Cuba as a state sponsor of terrorism, both included in December’s announcement to normalize relations, indicate that the Obama administration was convinced by Schmidt’s logic. The slow pace and (so far) only marginally successful results of Cuba’s economic reforms to date has put the Cuban government under rising internal pressure to expand Internet services and from abroad to meet the needs of the new foreign investors it hopes to attract. This eventuality – now with the help of U.S. investment and technology – could positively impact the population’s access to the web. At the same time, the government is clearly looking to the Chinese example as it contemplates ramping up its own Internet capabilities, hoping to remake the web in its authoritarian image and forestall any of its democratizing impacts. Still, in the months following the Google visit, the company announced that it was unblocking island access to its free cloud-based Chrome search engine as well as popular applications such as Google Play and Google Analytics – a decision that could not have been made without tacit approval from the Obama administration. Events in 2015 will reveal how much further the Cuban government is willing to allow Google and other Internet and telecom companies to go. 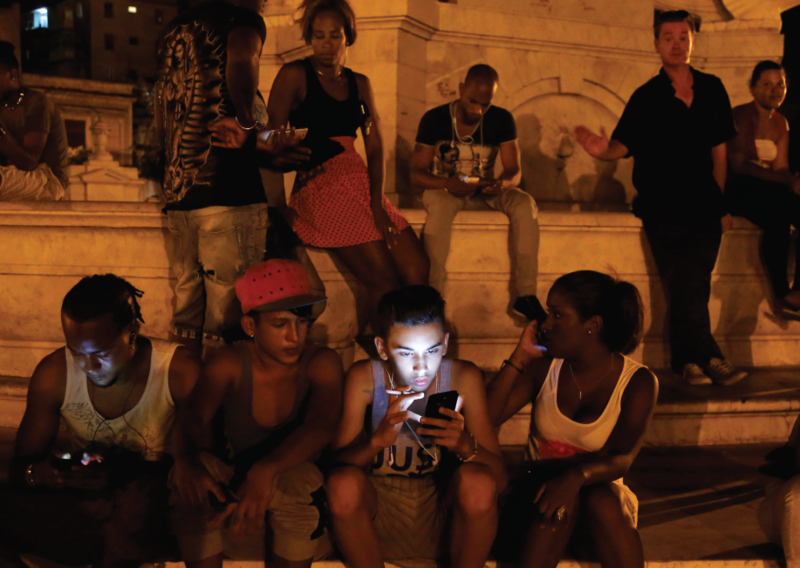 While these digital developments are significant, it remains difficult to determine to what extent they will affect ordinary Cubans, given that the government itself estimates the Internet access rate at an extremely low 26 percent. Even this figure conflates access to the Internet with the island’s limited internal “intranet,” and counts sporadic access to e-mail in the same category as full access to the World Wide Web. Moreover, while 118 new cyber-cafes opened across the island in June 2013, the service is a state monopoly available only to those able to pay in hard currency. Full access for one hour costs the equivalent of the average weekly salary. Thus, expanded access to ICT in Cuba takes place in a context of a connectivity that can be described as slow, expensive, and censored, with certain sites – such as 14ymedio – blocked outright. Devices such as computers, tablets, and smartphones are scarce and costly; the purchase and importation of key equipment such as routers and other Wi-Fi technology are highly controlled. Indeed, it is still not legally possible for the vast majority of Cuban citizens to obtain a household Internet connection, and there is virtually no legal access on the island to wireless networks and fully functional mobile technology or smart phones with data plans, outside of international hotels and certain government institutions, and select educational facilities. The government has recognized these limitations and made commitments to remedy them, but there is no clear timeline or way to hold the government or its telecom monopoly Etecsa accountable to citizens, consumers, or Cuba’s emerging class of private entrepreneurs. Cuban citizens of all stripes are working to overcome the substantial obstacles to entrepreneurship and free expression. This effort, however, takes place in an asphyxiating climate of political polarization, where Cubans have been doubly blockaded by the U.S. embargo on one side and by the ongoing internal embargo on the other. This is why the recent growth of domestic entrepreneurship and innovative engagement by Internet companies like Google is so significant. This new approach seeks to engage and empower the Cuban people directly while accepting some collateral benefit for the Cuban government, instead of aiming to undermine the government with a ham-handed embargo while accepting the collateral damage that such a policy inevitably has on the people. Now that this approach has been reinforced by the Obama administration’s momentous decision to diplomatically engage Cuba as a way to further empower the Cuban people (making their lives, in the words of the president, a bit more fácil), the ball is clearly in Castro’s court. Will he transform his initial economic reforms and marginal expansion of the Internet into change Cubans can believe (and even invest) in? 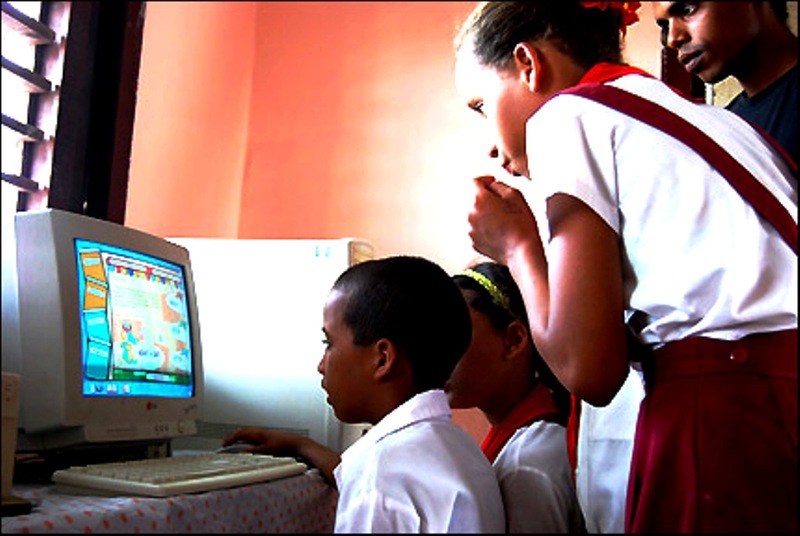 Students in Cuba are learning computer skills from the earliest grades in elementary school. But what will happen when they grow up in a country where access to the Internet and other social networks is highly restricted? What does this mean for their chances for ongoing professional development? That’s the question posed by the Cuban documentary Ojos que te miran: Entre redes (Eyes That Look at You: Among the Networks), made in 2012 by director Rigoberto Sanarega. But I think we need not go that far back in time to ask about Internet access in Cuba. 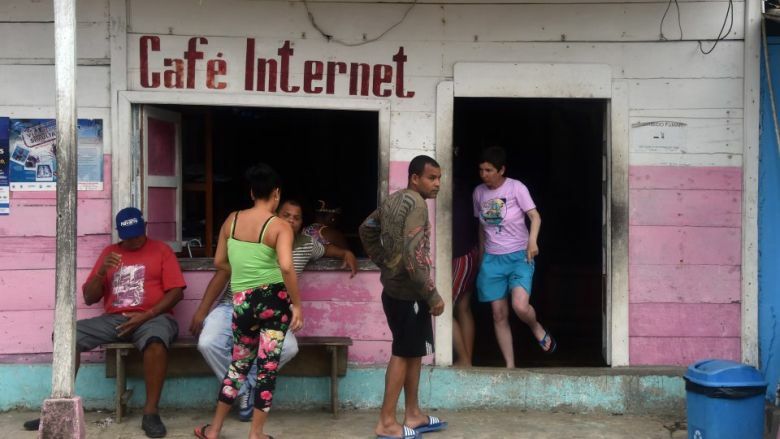 Right now, many Cubans are wondering when Internet access will become available for all citizens of the country, not as a special privilege or requirement for some jobs, but as a right – even as a necessity. In the documentary, a young woman who teaches computer classes to a group of elementary school students talks about her need for the Internet to complete her own studies, but she doesn’t have access. Another young man says he has to pay the equivalent of $6 USD an hour (almost half of many monthly wages) to access the Internet to complete his graduating project. “Eyes That Look at You” doesn’t delve into the reasons for preventing Cubans from having Internet access. The 13-minute documentary is meant to reveal a situation rather than to question the roots of the problem. I could list a lot of reasons why many professionals and undergraduates, graduates, masters level and doctorates students need Internet access, but we would be falling in a trap. The ability to access the Internet would be determined by the actual “need” to have it, and the designated authorities would immediately appear to determine who needed it and who didn’t. Moreover, if they can determine who needs the Internet, they could also determine which websites are needed and which ones aren’t. If you work in the area of public health, they currently argue that the Cuban Infomed website should suffice. Others have to be content with the nation’s Intranet. Both are internal networks controlled by the Cuban government. I believe that Internet access to any webpage, anywhere, is a right – period. 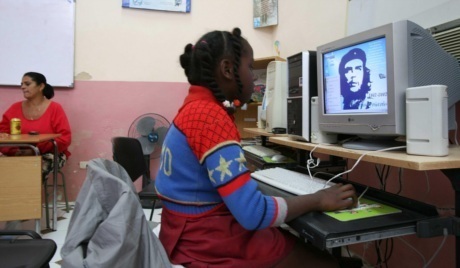 The documentary shows a worker at one of the Youth Computer Clubs, a program created by the eternal leader of the revolution, Fidel Castro. Over the months that he worked there, he wasn’t even allowed to access Wikipedia. However, another interviewee talks about the creation of EcuRed, a Cuban encyclopedia. However — paradoxically — most Cubans aren’t familiar with it or even know it exists. Most EcuRed users aren’t even from Cuba. Our country is in “ninth, tenth or eleventh users position,” according to the interviewee. The island is located behind Spain, Mexico, Panama, Colombia, the United States and other countries. The reason? The respondent himself said this was because of the poor Internet access that exists here in the country. Some people, like one man interviewed in the documentary, continue to accept the national security explanation, blaming the US government and its half century embargo for everything bad that happens in Cuba. 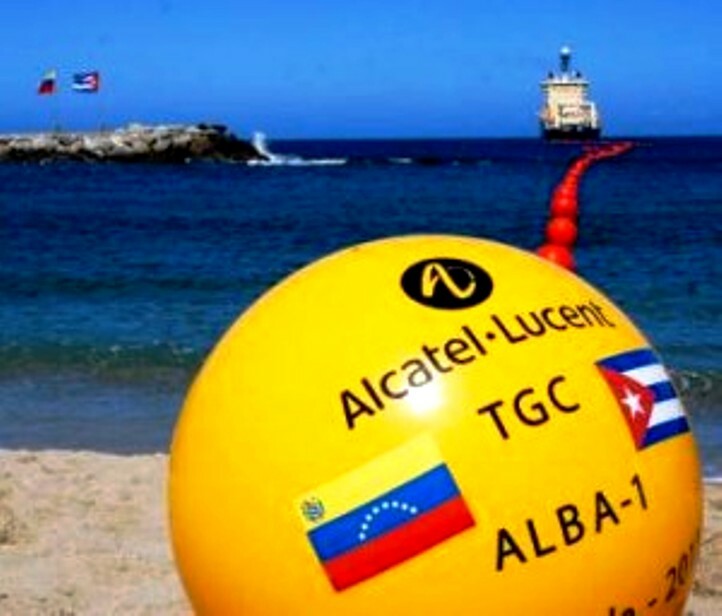 However another man raised questions about what happened with the underwater fiber-optic cable that was laid between Cuba and Venezuela nearly two years ago. Though it still isn’t functioning, nothing has been explained to the public. I’d like to be able to recall his exact words, but I can’t. I can only say that I was pleasantly surprised. One of the problems about having to live thinking about what you’re going to eat at night is that it keeps you focused on the problems of daily survival. It doesn’t let you think about basic questions of freedom such as access to information. Why do I want the Internet on an empty stomach? Why do I want to have Internet access if I don’t have gas for cooking or soap for bathing? Seen from this perspective, it appears that the Internet is a luxury that many Cubans don’t think about, even though they know it exists. But it’s heartening to know that more and more of our compatriots are interested in it. Eyes That Look at You doesn’t delve into the reasons for preventing Cubans from having Internet access. The 13-minute documentary is meant to reveal a situation rather than to question the roots of the problem. Perhaps that was the intention of the director, or maybe he chose to be more cautious in dealing with such a complex issue. In any case, maybe it’s not so contradictory to teach computing in schools and to create Youth Computer Clubs and then deny Internet access to the public. If we look to the past, the revolutionary government conducted a literacy campaign to teach the Cuban people to read and write, and then it banned many books and even several types of music. The Internet will come to Cuba just like all those other things that were banned: the music of the Beatles, DVD players, cellphones and access to tourist hotels. The government will run out of excuses to restrict access. As what happened with cellphones, the Internet will become available to everyone, at least to those who can pay the pretty penny for using it. We’ll no longer say that we’re restricted from access; we’ll just have to dig that much deeper into our already shallow pockets for it. But until those golden times come, it’s nice to see a Cuban documentary that puts the issue on the table – at least to some degree. HAVANA, Jan 5 2013 (IPS) – The Cuban government’s economic reforms must consider the myriad opportunities offered by the Internet, a key platform of the dominant economic model on the planet, according to interviews with both experts and average people. Meanwhile, people who participated in the interactive section of Cafe 108, the website of the IPS office in Cuba, felt that mass access to the worldwide web would mean first of all, “Finally landing in the 21st century”, and more job opportunities together with the expansion of state enterprises and small private businesses. However, the NICT and especially the Internet issue, is a complicated one in Cuba due to financial and political concerns, particularly because of the more than 50-year old conflict between Havana and Washington. The global expansion of the Internet in the 1990s happened as Cuba entered the economic crisis that continues today, which followed the fall of the Soviet Union and the European socialist bloc, Havana’s main trading partners. According to Torres, Cuba’s “unique socioeconomic and geopolitical situation” meant that “not enough resources have been earmarked for the development and use of these technologies”. The United States’ covert delivery of mobile phones, computers and Internet connections has been regarded by Cuba as meddling in its internal affairs. 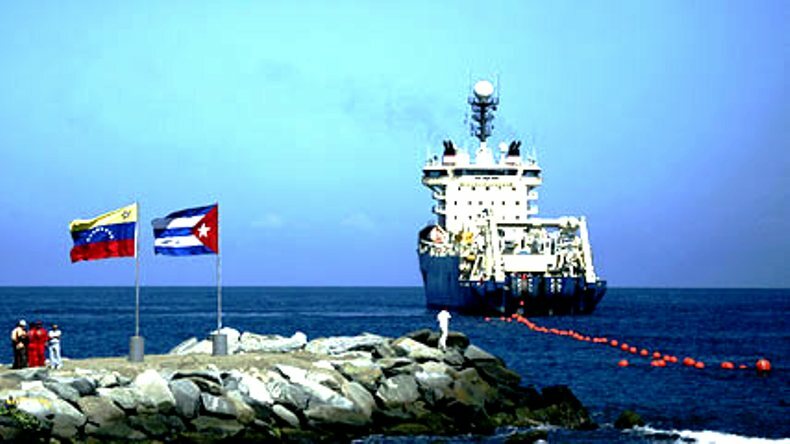 In 2011, a fiberoptic submarine cable arrived at the Cuban coastline, thanks to a project between Havana and Caracas to grant greater independence in communication between the Caribbean and Central America. In May 2012, the Venezuelan Minister of Science, Technology and Innovation, Jorge Arreaza, told reporters that the cable was operational. Cuban authorities remain absolutely silent about the cable, though there has been a noticeable improvement in local connectivity. Cuba now has a minimum bandwidth of 323 megabits per second, the allowable capacity via satellite. According to official sources, the fiber optic cable will increase current transmission speeds by 3,000 times, and decrease operating costs by 25 percent, but satellite services will not cease. The Ministry of Information and Communications has said it will boost the so-called social use of NICTs, but not its commercial application. Appearing before Parliament this month, the head of the ministry, Maimir Bureau, said the government prioritises access to Internet sites in places linked to social and community development, such as schools. He also reported that projects are underway to reduce the costs of mobile phones. Today, few people have Internet connections or email at home; most use “dial up” (technology that allows access through an analog phone line) or wireless. Some shell out the high prices charged at Cyber Cafes, and especially at hotels. Meanwhile, private sector job opportunities, opened up by an updated Cuban economic model, could further expand with an affordable Internet service for entrepreneurs and cooperatives. Unable to take advantage of all the possibilities offered by the current Web, some independent initiatives are timidly exploring the promotion of services via email, in websites, social networks like Facebook or Twitter or messages to mobile phones. Among them is the Alamesa project for the “diffusion of Cuban gastronomy”. The group, which also manages associated food services through the World Wide Web, has as its main tools a web directory on national restaurants and an electronic newsletter. The Chaplin’s Café restaurant in Havana and handcrafted lamps company LampArte have profiles on Facebook. La Casa restaurant is on Facebook, Twitter, WordPress, Flickr and YouTube, and regularly interacts with users of the international travel site TripAdvisor. MallHabana, the exclusive shop of online remittances to Cuba is also online. These initiatives especially seek to attract international visitors. Faced with national difficulties, many family businesses seek alternatives to offer their goods and services online. The exclusive leather handbag company Zulu, owned by Cuban Hilda M. Zulueta, has its own site, managed by one of the daughters of the artisan who lives in Spain, the owner told IPS. In 2011, only 1.3 million of the 11.2 million inhabitants of the island had cell phone connections, according to the National Office of Statistics and Information. It also recorded 2.6 million online users, a figure that includes Internet accounts and Cuban intranet, which provides access to some international and local websites. Before thinking about divulging his musical production, the well-known soundman Maykel Bárzaga dreams of having his own connection to easily update and activate the essential software for his home studio recordings. Five years ago, he took this option for associated creators of the non-governmental Union of Writers and Artists of Cuba. “When you buy equipment or a programme for music editing, you must activate it and update it by placing a key on the provider’s page,” he told IPS. He also pointed out that the “Internet is a stunning source of work, since it allows musicians to perform international projects without each of them leaving their country.” The Boston Consulting Group (BCG) estimated in 2012 that the Internet economy will grow in the coming years to more than 16 percent annually in the developing markets of the world. Expanding channels for retail is one of the many economic opportunities that would come with unrestricted access to the Internet, which was identified by participants of Café 108. In their view, among other things, many people could make a living with new professions, Cuba could export services through the web, the tourism industry would have more independence to fully own sites and be better positioned, and companies and cooperatives with professionals from the whole country and the world could emerge.